We exhibited at the PPMA Exhibition 2012, held at NEC Birmingham 25th to 27th September 2012. For more information on this exhibition and our involvement, please contact us or visit the PPMA 2012 Website for more information. We exhibited at the PPMA Exhibition 2011, held at NEC Birmingham 27th to 29th September 2011. 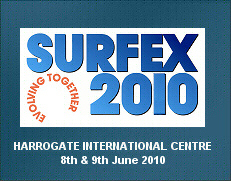 We exhibited at the Surfex 2010 Exhibition at Harrogate Exhibition Centre on the 8th & 9th June 2010. For more information on this exhibition and our involvement, please contact us or visit the Surfex 2010 Website for more information. 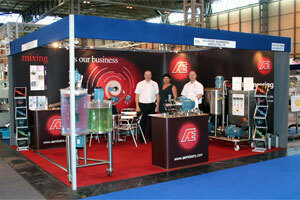 We exhibited at the Total Process and Packaging Exhibition at the NEC Birmingham 25-27 May 2010. For more information on this exhibition and our involvement, please contact us or visit the Total Processing website for more information. We exhibited at the Foodex Exhibition at the NEC Birmingham 21-24 March 2010. For more information on this exhibition and our involvement, please contact us or visit the Foodex website for more information.